We can only go up from here. check links to the left. The Last Day For Payment (Ski Trip) Without A Late Entry Fee is JANUARY 12th So Make Your Payments Now! Jeronx is one of the premiere event planning companies in the Tri-State Area. We plan parties, dinners, and excursions for our highly sophisticated clientele. Due to the high demand for our services, we are dedicated to bringing you exciting ventures, filled with new and inovative concepts. We have only touched the surface of our endless possibilities. We hope you can join us on what ever voyage we take. Welcome to our home, feel free to peruse and let us know what you think. 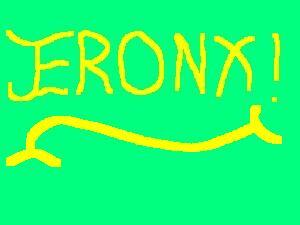 Thank you Jeronx for the time of my life. I've never been to a party where I felt so comfortable. I met the most interesting people there. The catered event was even more spectacular, because once you entered the room you could see that great care was taken to make sure everyone would have a fantastic time. PLEASE SIGN OUR GUEST BOOK BELOW, WE WOULD REALLY APPRECIATE IT. THANK YOU.